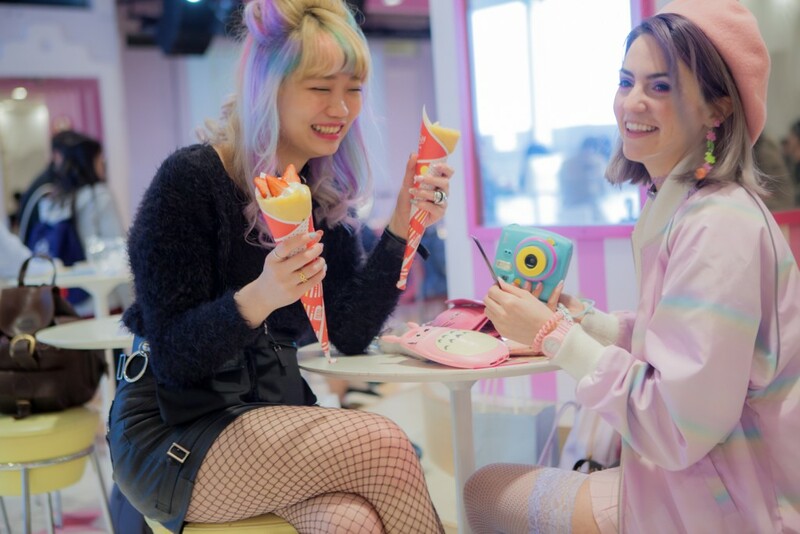 This new music video for Universe Nekoko and Lovely Summer-chan’s “Divine Hammer”, is a soft and beautiful portrayal of global Girl Culture between New York City and Tokyo. Directed by Anise Mariko from Brooklyn and Yumiko Kobayashi from Japan, the video begins in NYC and transitions to Tokyo, bringing two friends from different sides of the world together for one magical day. The project provides an intimate look into the girls’ lives and emotions, while showcasing a simple happiness, manifested in the purest form of love between two people. The five-person, all-female crew comes from varying backgrounds in the arts, from film, photography, animation, modeling, dance, and design technology. The two directors originally became friends through Instagram, and conversations about the similarity in their styles led to an international music video collaboration. The crew has never worked to worked together before, but found instant chemistry through their shared visions and likeminded approaches to Girl Culture in the arts.